Books and other objects sometimes need their own special houses. 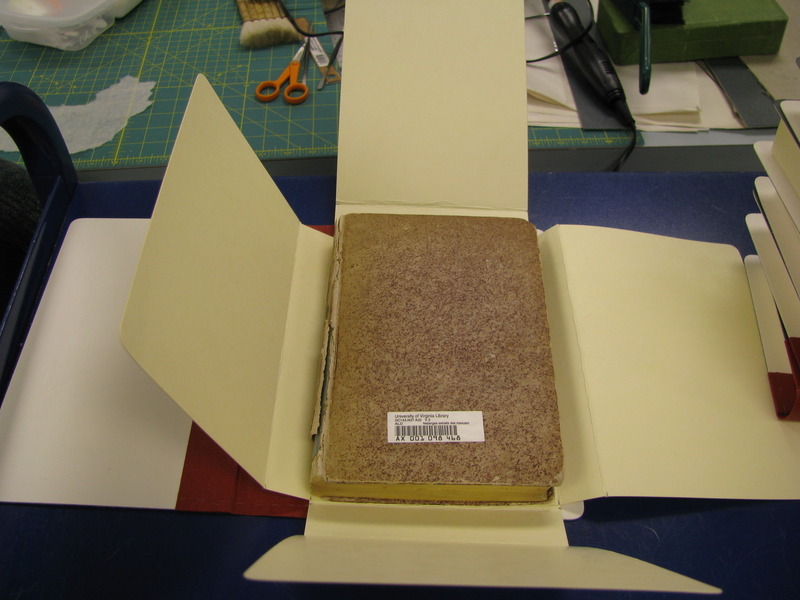 Phase boxes are custom-made enclosures that allow books to remain in circulation when they are beyond repair, reformatting, or replacing. Four-flap wrappers, at right, allow thin or soft materials to stand up and be shelved alongside other materials. Cruise any part of the stacks, and you will find the gray phase boxes—open one up and discover what is inside. Phase boxes are so named because they were meant to be the first phase of a treatment plan—holding the book together until it could be treated. 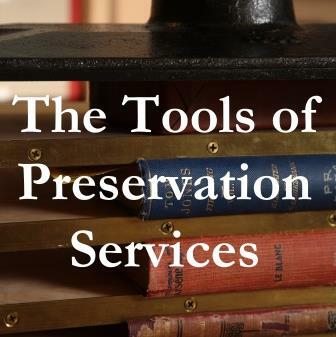 Today, for many materials, placing an item in a “phase box” may be the last preservation action taken due to limited resources, high rate of deterioration, or desire to safely house the book “as is” for its artifactual value.